Birthmarks are often present at birth or develop soon afterwards, hence their name. Vascular birthmarks (often red, purple or pink in colour) are caused by abnormal blood vessels in or under the skin. Most commonly found on the back of neck, between the eyes, on the eyes, upper lip or forehead they can appear anywhere on the body and vary in size and colour. They are also known as port wine stains. Vascular birthmarks are caused by abnormal blood vessels in or under the skin. They are not usually inherited. What treatments are available for birthmarks? We offer the following birthmark treatments at Eden Skin Clinic. Why not book a consultation with one of our skin care experts – we will examine your birthmark and answer your questions about the treatment and results. 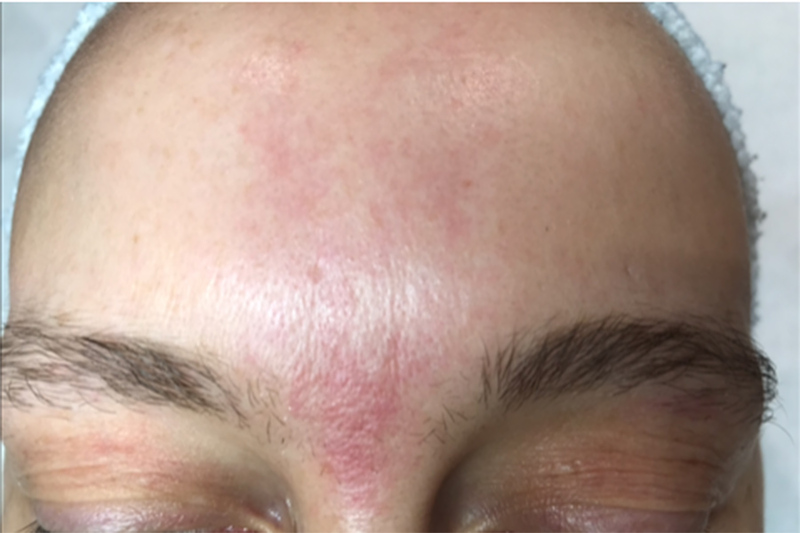 “Lorraine has been treating the red birthmark on my forehead for a few months, and the results have been fantastic and I am very pleased.